In yet another surprise announcement, the administration has put tariffs on steel and aluminum from some of its most important trading partners. As a result, Mexico is threatening to retaliate against U.S. pork, just as China did. “Global export market uncertainty has resulted in considerable lost value for U.S. pork producers,” said Jim Heimerl, president of the National Pork Producers Council and a hog farmer from Johnstown, Ohio, in a statement from NPPC. 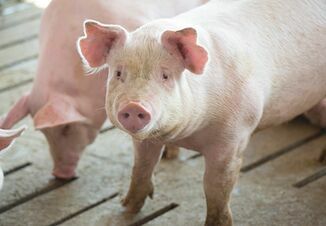 “According to Iowa State University Economist Dermot Hayes, hog futures dropped $18 per animal, amounting to a $2.2 billion loss on an annualized basis, since March 1 when speculation about U.S. pork access to the critical Chinese market began," Heimerl said. Today, AgDayTV reporter Betsy Jibben interviewed Jim Monroe, senior director of communications for NPPC. 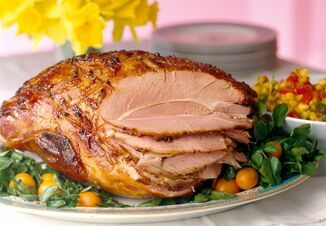 He said NPPC is “very concerned about retaliation against U.S. agriculture, including pork, in response to tariffs placed by the U.S. on steel and aluminum. “Canada and Mexico are important export markets for U.S. pork and this significantly heightens our concern,” Monroe said. He noted that last year the U.S. shipped $1.5 billion of pork to Mexico (the largest export market for U.S. pork) and almost $1 billion to Canada (ranked No. 4). As a result, Monroe is concerned about the impact these newest threats will have on U.S. pork’s growth prospects. 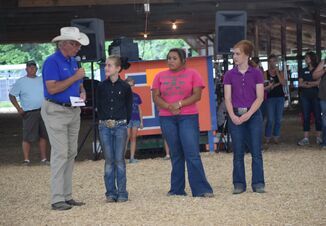 What makes this situation even more unfortunate is the fact that the U.S. is presently hosting the World Meat Congress in Texas, an event the U.S. pork industry is sponsoring. Secretary of Agriculture Sonny Perdue addressed the group today, reportedly just as the tariff announcement was being made. NPPC has consistently stated its concern about retaliation against U.S. agriculture, including pork. Industry leaders continue to represent the industry's interests with lawmakers in Washington, and will be watching carefully to see how this most recent announcement will impact the ongoing NAFTA negotiations.